Sharing our buying trip with you! Welcome to this very special edition of the Touchstone Beads newsletter! 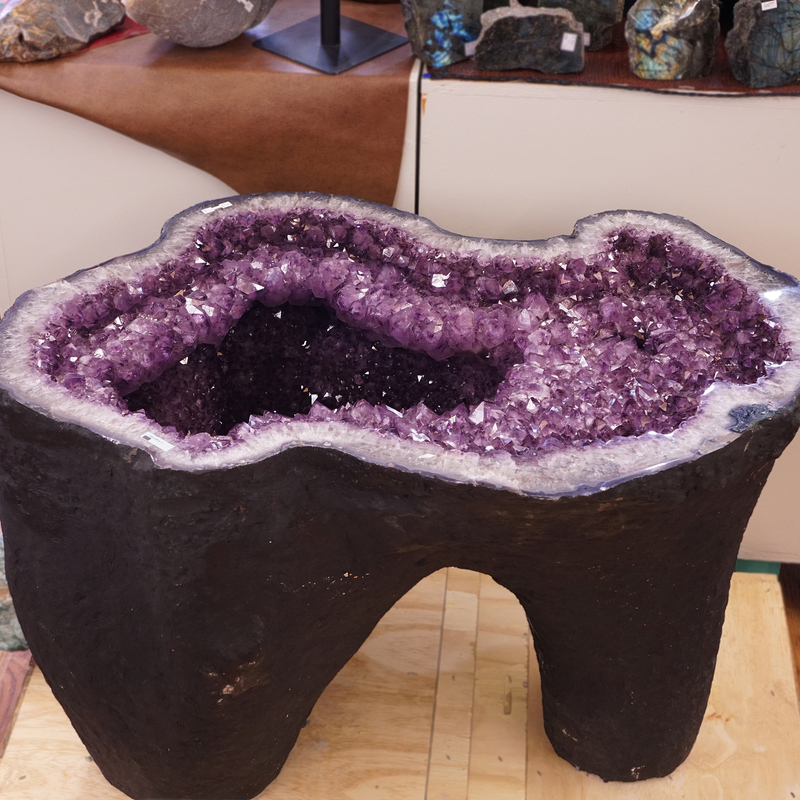 Every year, Kevin and Chris go to Tucson to one of biggest gem and mineral shows in the world! It always results in an exciting time at the store as we wait for things to come in, redo the showroom layout, and offer some of the best deals on stones we'll have all year. 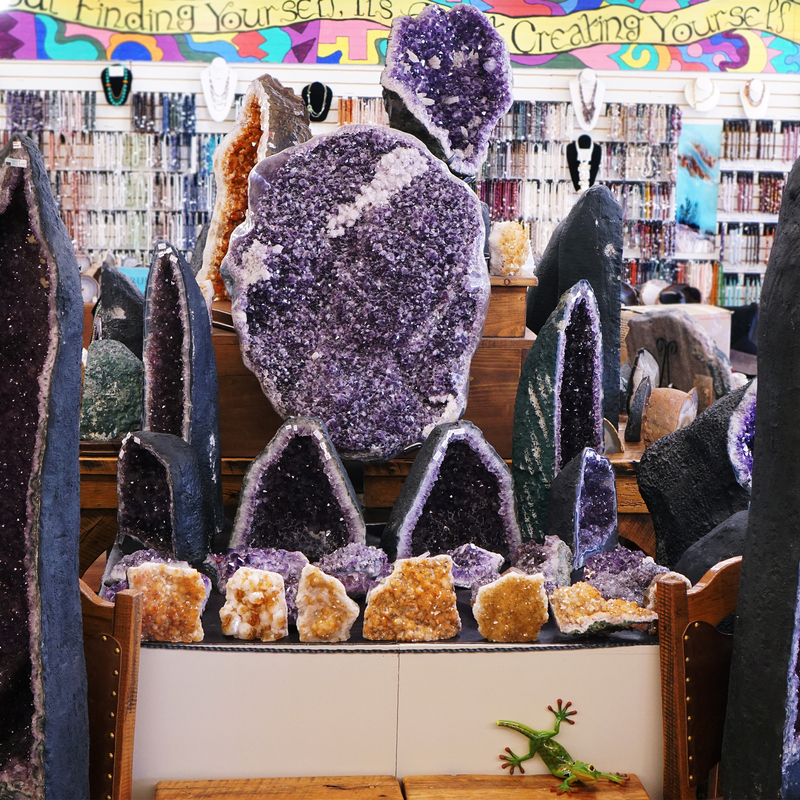 Kevin looking angelic in front of an amethyst pair. 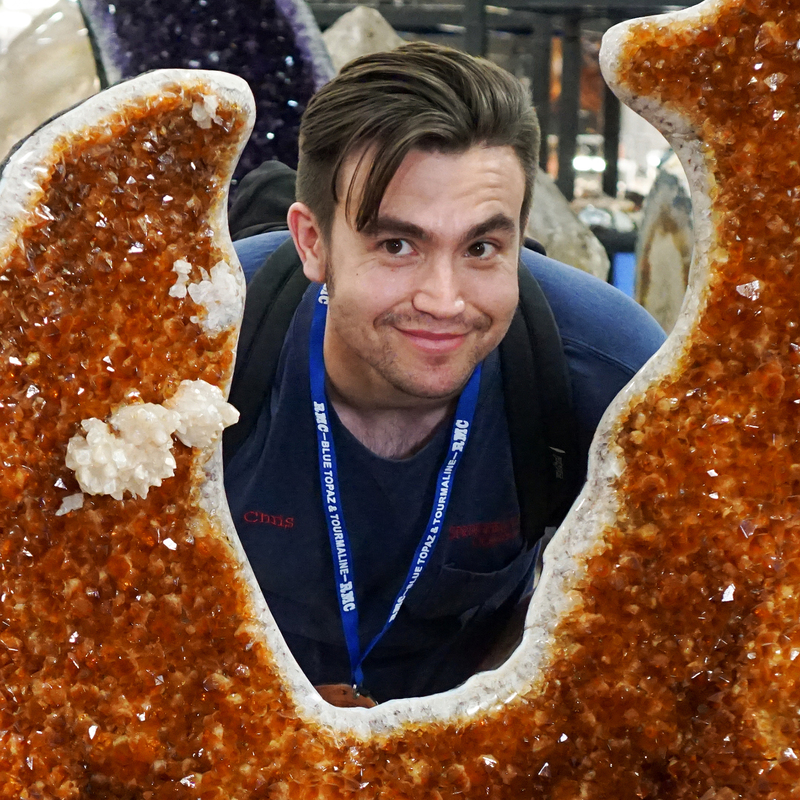 Chris enjoying a giant citrine specimen. This year was extra special because Jennifer, Laura, and Liz joined the duo and helped them buy more than ever before! Nearly four times as much as we did last year, to be specific. While we take the time to get everything in and set up, we would like to share a bit of our trip with you! We'll also share some of the pieces we brought back with us! Liz is our director of sales. 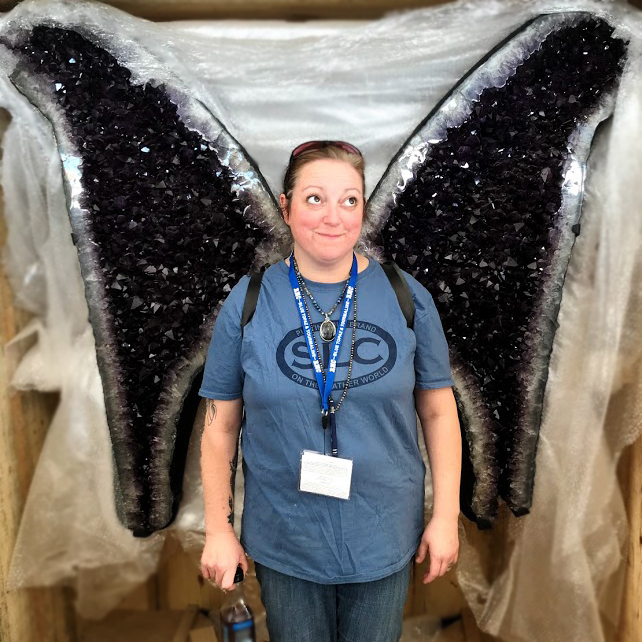 While much of her time is dedicated to the goings-on at Springfield Leather, she joined Kevin and Chris for a better look at the rockier side of the business. Favorite Purchase: My favorite purchase was with a vendor that sold Hand Carved Stone statues of animals. We purchased a few select pieces that are really quite spectacular. 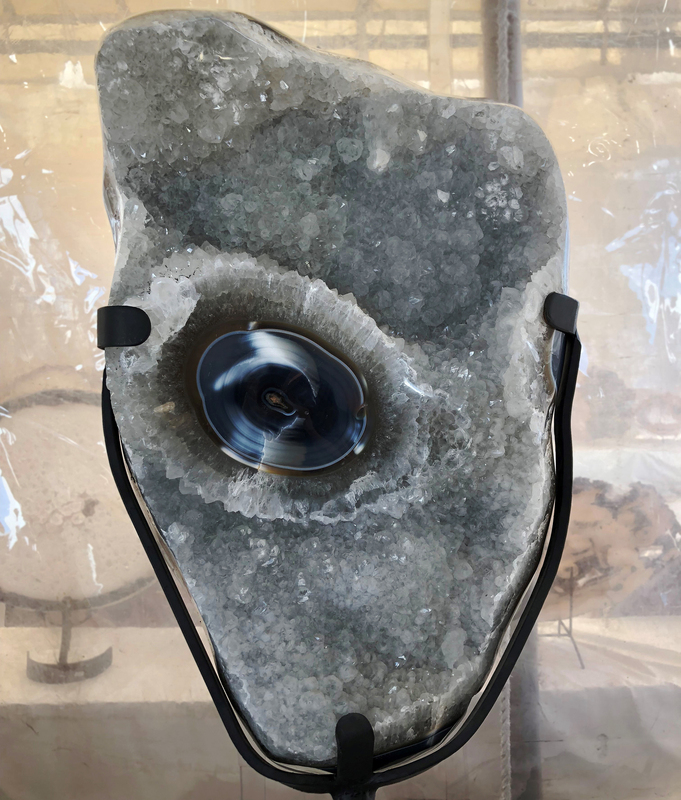 The vendor is from China and they showed us some photographs of their facility where they take raw stones and turn them into incredible statues. Dream Purchase: EVERYTHING! There was so much to look at - just tent after tent of carvings, impeccable mineral specimens and, of course, beads! Best Part: The best part of the trip was finding “cool rocks”, as Kevin would say, that people back home could get excited about. 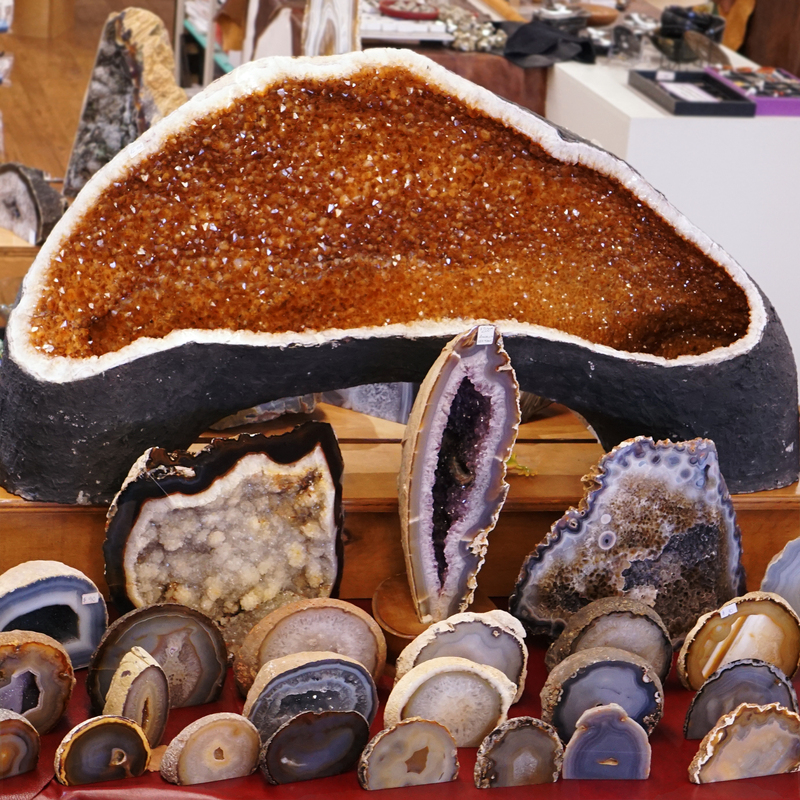 We got agate halves and little hand specimens along with larger display specimens that really show off what that mineral is all about. It was really cool to get to pick out what we would be selling for the next year. Worst Part: Well, we walked a lot, but that wasn’t so bad. What is there to complain about!? It was 70 degrees, sunny, looking at rocks all day… I guess we did eat a lot of Mexican. Biggest Surprise: The sheer volume of rocks that people bring to Tucson is incredible. There were tents and tents and tents. Did I mention they were MASSIVE? Like, football fields? And many, many of them. And hotels converted into shows? And convention centers? And more hotels? 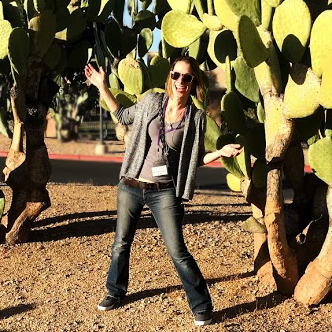 Laura is a geologist and one of the newer members of the Touchstone team. 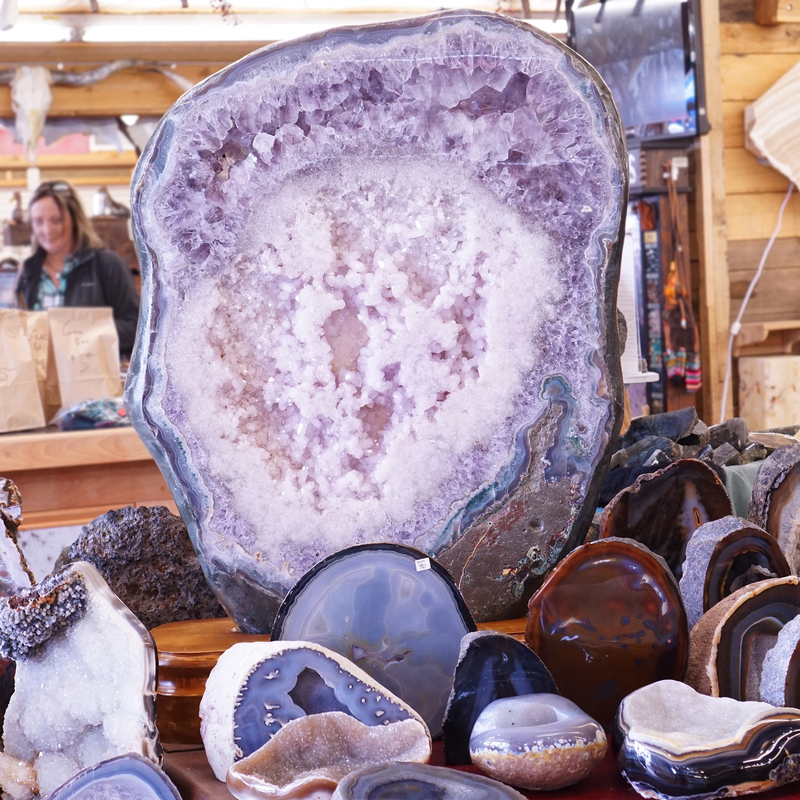 With her extensive knowledge and passion for stones, she was the perfect candidate to go along for the ride. Favorite Purchase: It's hard to choose just one. Moldavite, a tektite that comes from meteor impact. It's green and has a distinct pattern on top and comes from a specific locality. 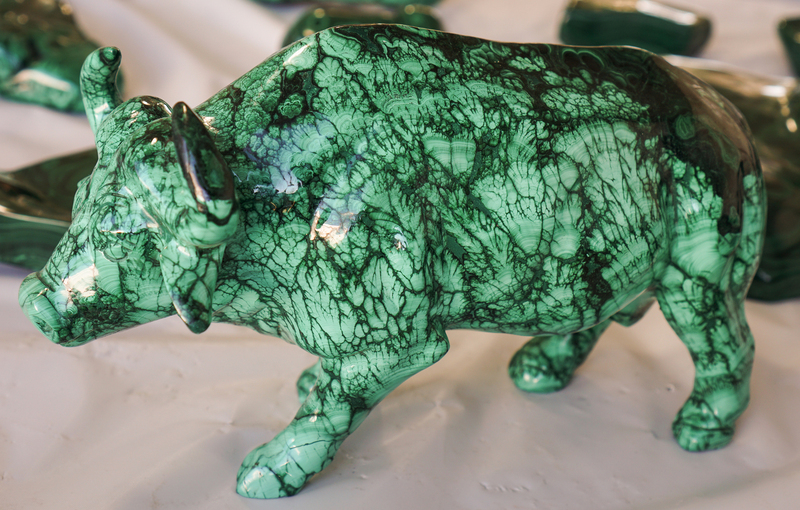 I also loved the malachite and copper. There's also stuff we're not even totally sure what it is! Dream Purchase: For me? If I had $10,000 to spend, I would've spent it. There was a piece of amethyst with agate around it with an agate eye that I loved. 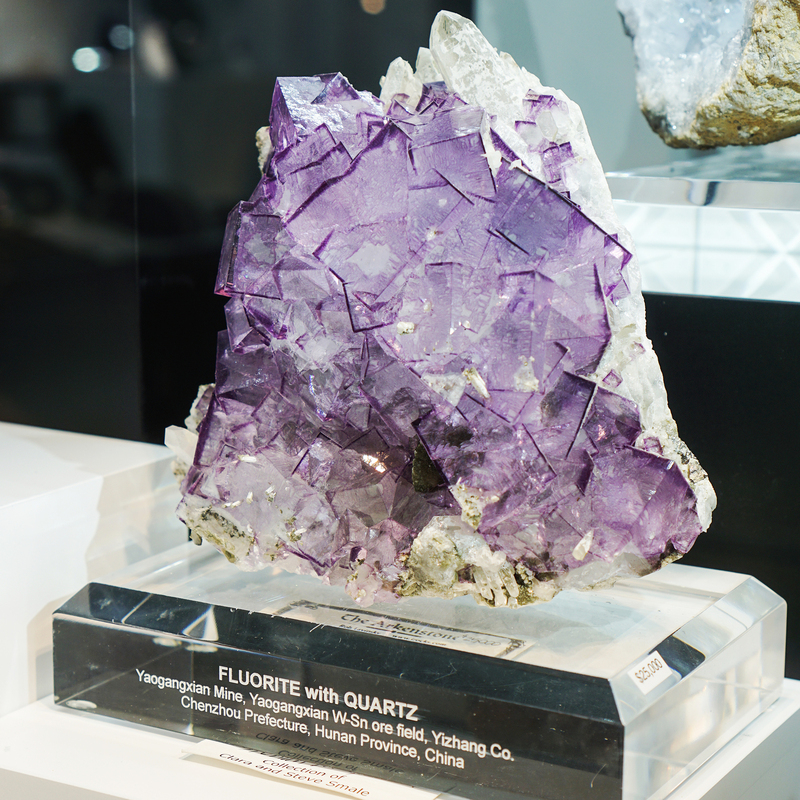 Best Part: Just seeing everything from rough rocks that had never been worked on, to gemstones and finished products like jewelry. It was nice to see that it wasn't just one thing, it was everything to do with gems. They even sold tools and we bought a drill. Worst Part: The dust - it was warm but nothing to complain about, but it was very dusty. Biggest Surprise: The sheer size and scale of it all. How many there were, how big they were - the quantity. You think of opals being kind of rare and precious and then they're everywhere. Jennifer is our resident bead aficionado. She buys all of our beads so, of course, she had to come to Tucson! Beads remained her main focus and she found the selection of raku and stone beads to be the best among all of her purchases. Jennifer felt confident in her purchases noting, "There wasn't anything that I wanted to buy and we didn't get that I couldn't order later." While she steered clear of the stones as best she could, she still gave it a go. 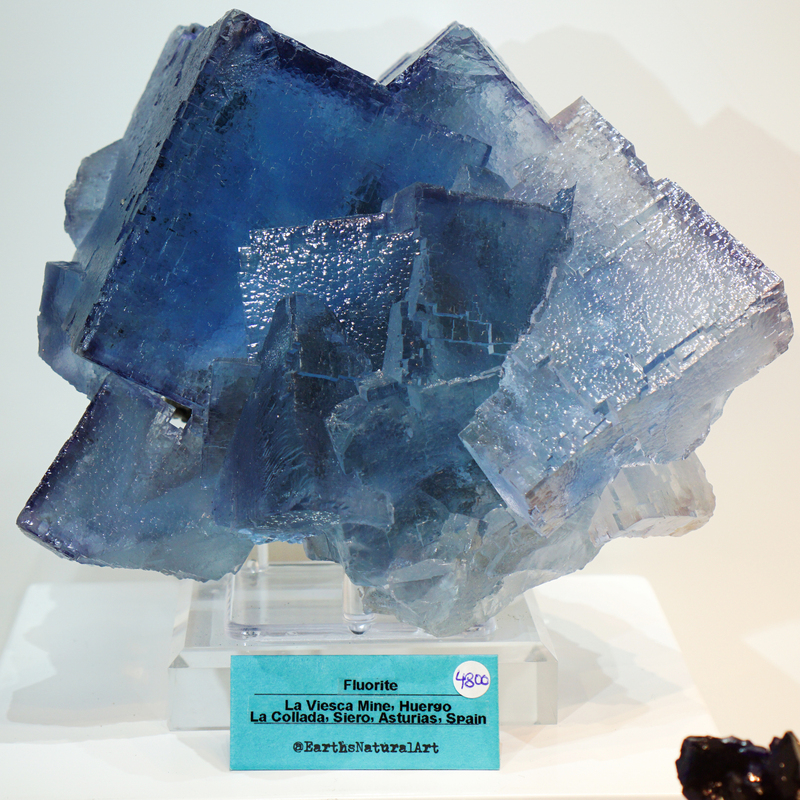 "I picked out some rocks and Kevin said, 'Well those aren't very good,' so, I quit. After that, I was along for the ride and I filled out the labels for the pallets." Luckily there were other things to concentrate on like bead designers. 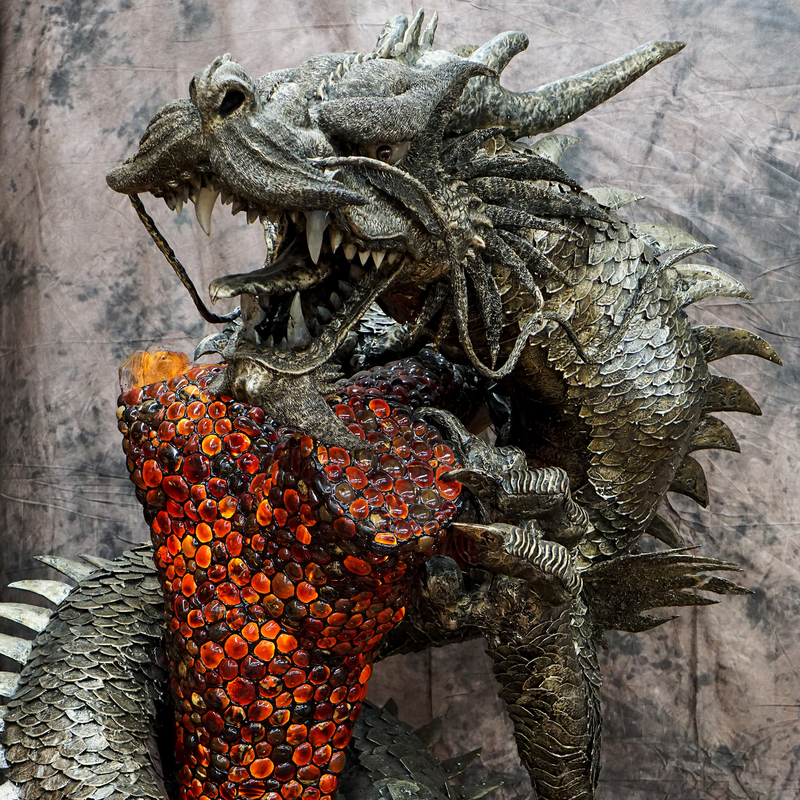 Bead designers are responsible for some seriously stunning pieces and sell patterns for some of their best creations. "A lot of designers, you will see as inspiration online - you can't buy from them. So, to be able to see their stuff in person was fun." Unfortunately, you're not allowed to take photos of their work either. The only downside of the trip for Jennifer was the heat. While it only started to reach the 80 degrees toward the end of the trip, rock displays made it feel a lot warmer. "It was cooler outside because they have all of those halogen and big floodlights in small rooms and everyone's got like eight [lights] per table." The best way to keep up with Jennifer is to sign up for one of her beading classes. She does one nearly every month and usually sticks to weaving designs. In March, she's teaching her Daisy Wrap Bracelet class. There will also be an employee profile featuring Jennifer on the Springfield Leather blog very soon! Be sure to check that out for more! Here is a quick look at some of the things we have available for sale in our showroom. We're still working on getting everything priced and displayed, so expect lots of changes and lots of great deals! Before you go, we have a few quick and important announcements. The Trunk Show is still underway and will be going until the end of the month. We also still have some select stones for 40% off, including some new stock! 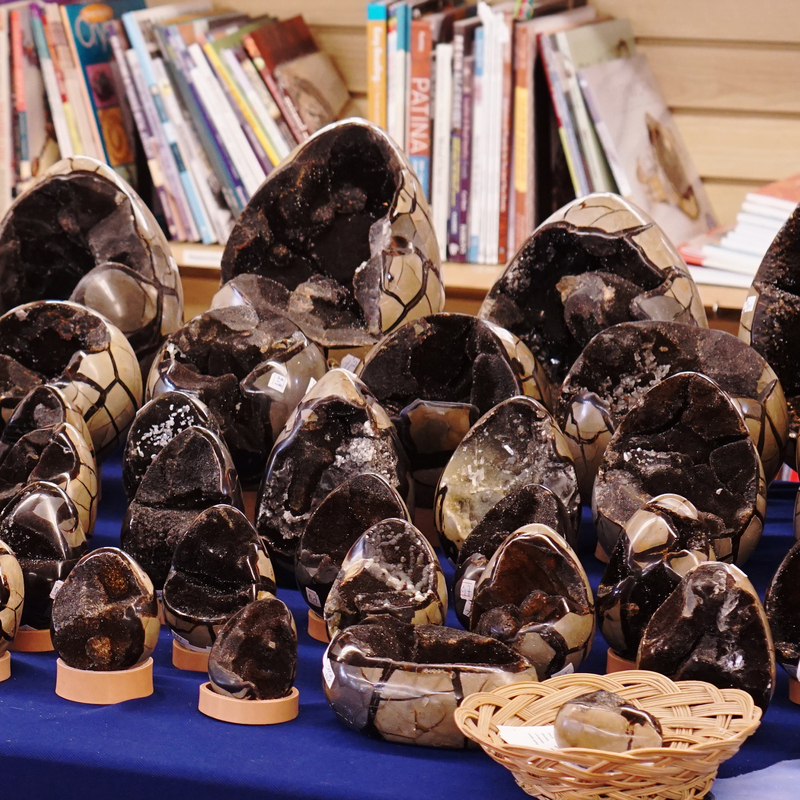 We have large agate specimens as low as $9 and we've reduced agate bookends! By the time this goes out, there is bound to be even more on the showroom floor to dazzle you. We'll be sending our regular newsletter out on the first, as always. Until then, see ya!